If you sign up and pay your deposit before the end of November 2016 you will receive an early-bird discount of US$ 200 off the published price. • Find your spirit in the wilderness of Botswana. Visiting Moremi Game Reserve, which is the jewel of the Okavango Delta, recently voted one of the best Game Reserves in the world. • Connect with nature as we explore the secret life of hidden Africa. 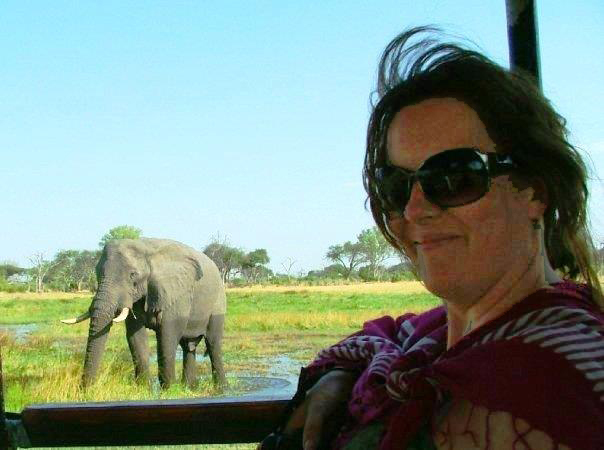 Deborah Carter certified E-RYT guides you through healing yoga sessions in the heart of Botswana’s animal kingdom. • Explore Botswana and its wildlife in custom 4×4 vehicles with an expert guide; get close-up photography of Botswana’s wildlife, experience the Okavango Delta on a river excursion and a sleep-out on a island, plus an amazing scenic flight over the magical Delta. • All the above for an incredible price of only US$ 4,850.00 per person sharing. • You won’t find a safari like this at this price anywhere else in Botswana.